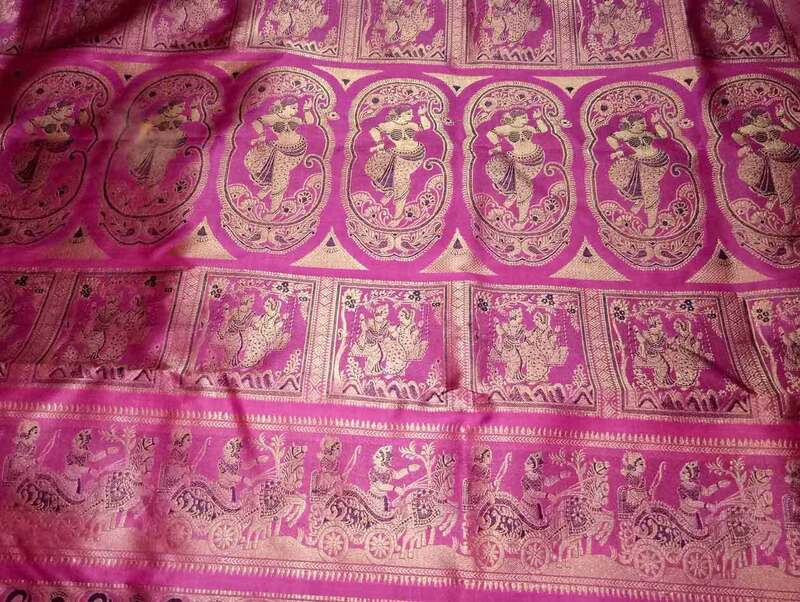 Online Naksha is one stop destinations to shop Latest Swarnachari Saree Online. 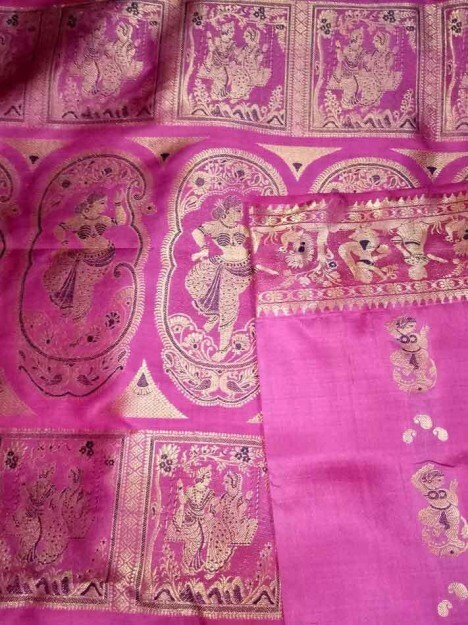 The Swarnachari Silk saree has gold thread incorporated in the weave which gives its characteristic rich sheen. Own this piece of legacy which depicts the epic tale woven with golden zari and Minakari with dark blue is hIghlighting the design of this exclusive Swarnachari.